Mumbai, The daughter of the legendary artist, Sri Devi suggested the name of Adnan Siddiqui to perform the leading role in the new coming movie as the husband of the great artist, Sri Devi. 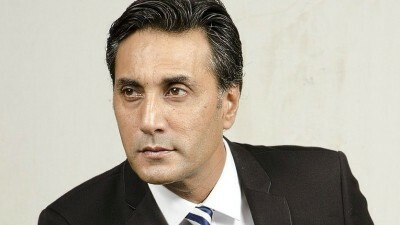 Jhanvi Kapoor is impressed with the performance of Adnan Siddiqui and she suggested the name of Adnan Siddiqui in the movie of her father, ‘Mom’, in which her mother, Sri Devi will also perform the leading role. Boni Kapoor, father of Jhanvi Kapoor was very worried about the main role of the movie and his daughter, Jhanvi Kapoor eliminated her worry by suggesting the name of Adnan Siddiqui. She said that she watched the Bollywood movie, ‘A Mighty Heart, which was released in 2007, in which Adnan Siddiqui performed the wonderful performance and Jhanvi was greatly impressed with his performance. So he suggested his father to case Adnan Siddiqui in his new coming movie, ‘Mom’ as husband of Sri Devi. He offered this role of Adnan Siddiqui and he accepted this offer to perform this role in the Indian new coming movie, ‘Mom’ and he will perform the leading role in this movie and he will appear as husband of Sri Devi in the movie, which will be released on 07 July. In this movie, Nawaz Uddin Siddiqui, Sajjal Ali and Sri Devi will also perform their roles along with Adnan Siddiqui.